Jypyä Pop (Turku, Finland) on 13 January 2019 in Miscellaneous and Portfolio. Yes, a lovely ice sculpture! An impressive ice sculpture set in a delightful wintry scene. Magnifique statue ! Un caniche de glace ! Yeah, very nice art ! And you´ve made a very artistic image here. Really superbe and beautiful! 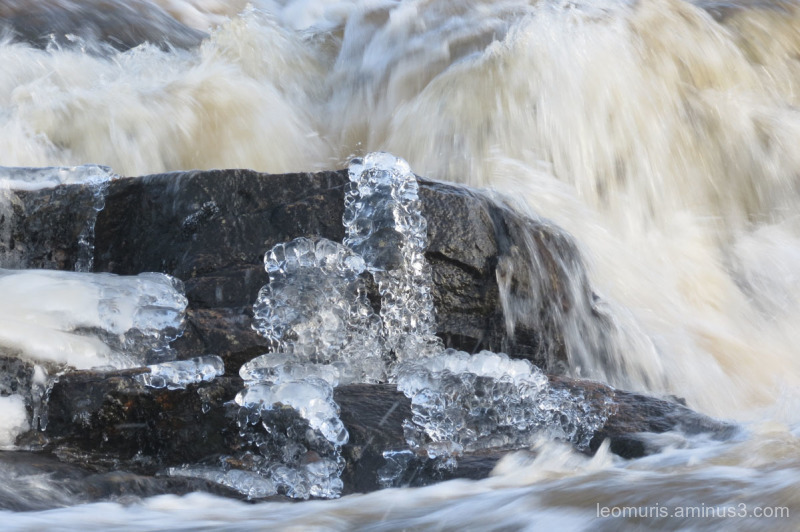 what lovely natural ice sculptures here ! @Devi: It's great that you saw the same as I did. Thank you. I, too see a cat. Beautiful natural ice sculptures. la nature est une artiste, dommage que les humains ne la respectent pas .